Want More Cleaning Contracts? Then Get Search Engine Optimized! Starting a cleaning service can be challenging especially with the growing competition in the industry. With Cleaning SEO, you do not have to settle for second best and stay behind the shadow of your competitors. Our company is home to expert SEO specialists who can offer comprehensive packages to bring targeted website traffic to your cleaning business. With our cleaning business search engine optimization plans, expect only results, traffic, and potential clients coming to your site. Our company works on authentic and customized services to meet all your needs and budget. We do not adhere to a one-size fits all strategy—our campaigns are suited to your specific business goals. 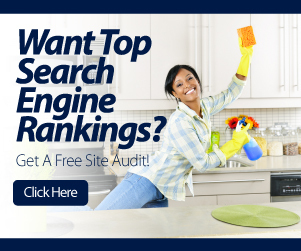 Our cleaning business search engine optimization services can help boost online visibility while maintaining superior performance for clients. We optimize your brand and reputation so you can gain an edge among your competitors. We are not ones to work on quick wins and tricks. Committed and highly trained, our specialists work around the most appropriate tactics to meet deadlines and set realistic expectations. With our expert guidance, your cleaning business can reach the first pages of search engines within a set timeframe. Our team is always ready to help you overcome any hurdle and surpass your competitors by a mile. We do not simply highlight your business for visibility—we aim to convert traffic into potential clients. Whether you cater to small offices or large corporations, we will work with a suitable marketing approach to attract clients. Don’t let competition cause intimidation. It’s time to market your brand and stand at the forefront of the cleaning industry. Contact Cleaning SEO at 1.888.270.6673 to get your cleaning business search engine optimization started!